(JTA) — June 8 was the most productive day for Jewish batters in Major League Baseball history. 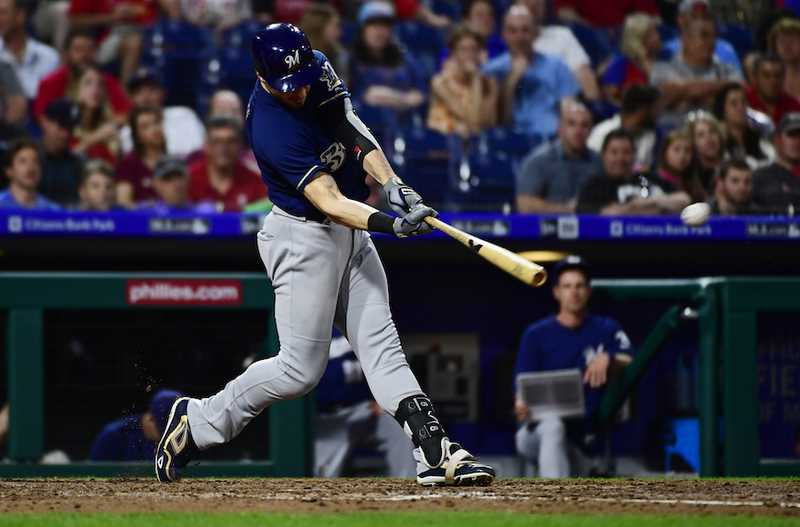 Ryan Braun, “The Hebrew Hammer,” hit two home runs, driving in five runs to lead the Milwaukee Brewers to a 12-4 win over the Philadelphia Phillies — who have a Jewish manager in Gabe Kapler. Braun’s three-run shot with two outs in the first inning broke a scoreless tie. His two-run homer, again with two outs, left Philadelphia’s Citizens Bank Ballpark with an exit velocity of 112.9 miles per hour, according to the new high-tech analytics. It’s the hardest ball Braun has hit since they started measuring these things in 2015. Kevin Pillar, the Toronto Blue Jays outfielder who is known more for his outstanding defensive play than his skills at the plate, hit his sixth homer of the year and third in seven games in a 5-1 win over the Baltimore Orioles. His eighth-inning solo shot gave the Blue Jays their final run. Danny Valencia, the third baseman for the O’s that night, was the only Jewish position player not to hit one out on Friday. Alex Bregman hit his eighth home run, a solo drive, in the Houston Astros’ 7-3 win over the Texas Rangers. The Astros selected his younger brother A.J. in the recent MLB draft, so it’s conceivable they could become the first set of Jewish brothers to play on the same team since Norm and Larry Sherry were members of the Los Angeles Dodgers from 1959 to 1962. Ian Kinsler’s seventh homer was good for two runs and gave the Los Angeles Angels of Anaheim the cushion they needed in their 4-2 win over the Minnesota Twins. He hit his eighth home run (and fifth in June) the next day to give the Angels their first run in a 2-1 win, their sixth straight.